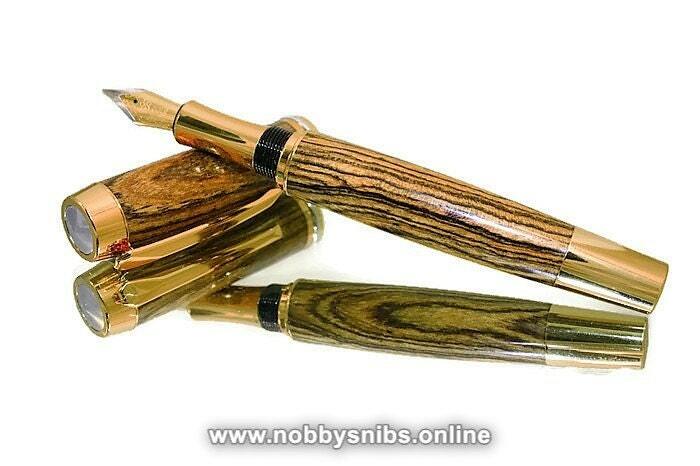 Wooden Fountain Pen Hand Made in Bocote/Manjack. 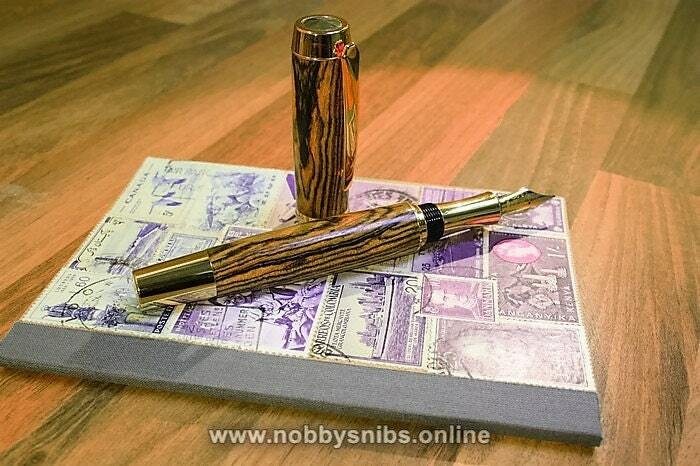 - Handmade 'non-posted' fountain pen made from Bocote (or Manjack) wood. 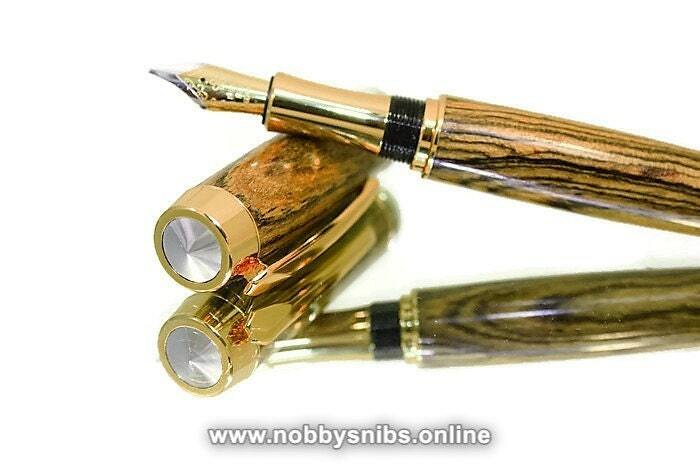 - This is a non-posted fountain pen (i.e. 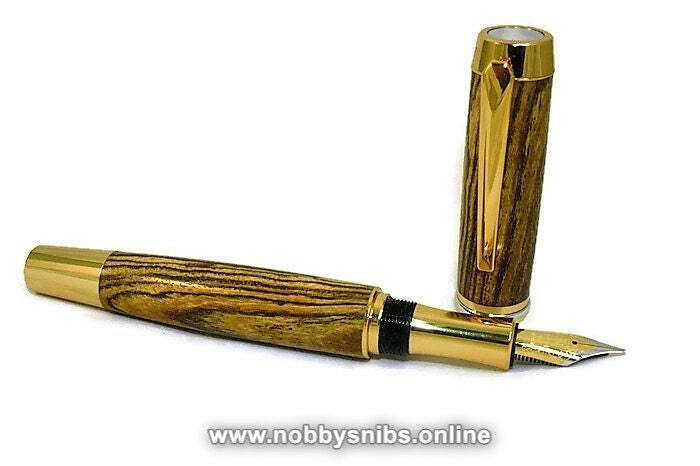 the cap cannot be screwed on to the barrel of the pen whilst in use). 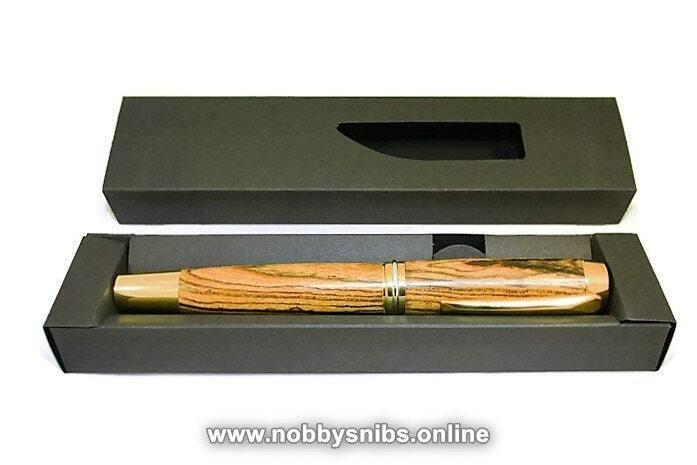 - Also comes with a piston-style ink pump allowing the use of a traditional ink bottle.